OPPO has launched Oppo A3 in China. 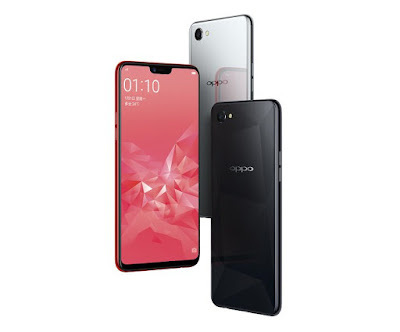 It has a 6.23-inch Full HD+19:9 aspect ratio display with 88% screen-to-body ratio powered by MediaTek Helio P60 Processor. Dual SIM device runs on ColorOS 5.0 based on Android 8.1 (Oreo). On Camera, it has a 16-megapixel rear camera with LED flash and 8-megapixel front camera.It has multi-layered metallic and glass back cover that replicates a diamond-like glow and light refractions, with triangular-cut patterns that shimmer bright and dark shades when seen from different angles. It doesn’t have a fingerprint sensor, but has face unlock that can unlock the phone in just 0.08 seconds.Packed with a 3400mAh battery.